Local homebrewers pair up with some of the Portland areas top brewers for the 6th annual Beer + Cider Pro/Am. 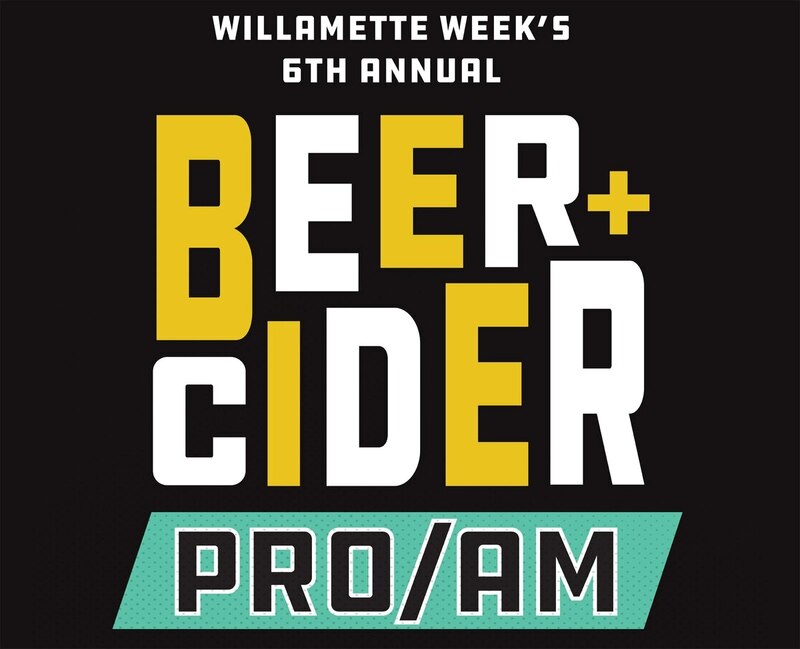 Presented each year by the Willamette Week, 30 teams of homebrewers are paired up with a brewery or cidery to debut a brand new beer or cider at the Pro/Am. The 6th Annual Beer + Cider Pro/Am will take place on October 14, 2018 from 1:00-6:00pm (VIP at Noon) at the Leftbank Annex in North Portland. This all-inclusive event is a benefit for Oregon Wild that helps protect and restore our wildlands, wildlife, and waters as an enduring legacy for future generations. As we see more and more homebrewers turning pro, this event is a great way for homebrewers to hone their skill while brewing on alongside a professional brewer. We are not sure if any of the former amateur homebrewers have ever gone on to brew professionally but if not this is a great start! Update: Natalie Baldwin, currently a brewer at Breakside Brewery was the winning homebrewer that was paired with Alan Taylor at PINTS in the Pro/Am’s first year. Admission into Beer + Cider Pro/Am is limited to 600 and is all-inclusive! There are no beer tickets, just responsible sampling of the 24 beers and 6 ciders. Attendees will then vote for their favorite beverage in the People’s Choice competition in addition to the judge’s decision. There are two entry options for the Beer + Cider Pro/Am, VIP that allows entry an hour early at Noon and General Admission with entry at 1:00pm. Tickets are now on sale by clicking HERE. VIP entry is $40 and includes 30 two-ounce tastes, commemorative pint glass, VIP tasting with brewers for the first hour (only 150 people), and entry into a special giveaway. General Admission entry is $30.00 and includes 30 two-ounce tastes and commemorative pint glass. There is also a Designated Driver/Non-Drinker entry for $10. In addition to the 30 beverages the Beer + Cider Pro/Am will also feature food from Tamale Boy and PDX Sliders and music from DJ Lemix.